r-kive is a personal photo-tagging mobile app created in partnership with the National Archives. r-kive allows people to search and label personal photos on their phones. 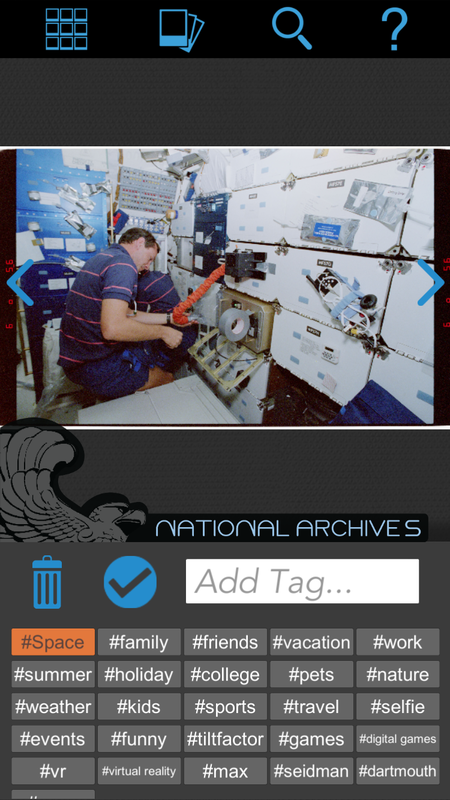 Occasionally, in between tagging their own images, users are asked to tag an image from the United States’ National Archives. These tags are sent back to the National Archives database and entered immediately in order to make those images searchable by the public and further enhance the National Archives database. r-kive helps people organize their own photos as well as contribute to our nation’s records.